More than 45 million Americans suffer from headaches each year, and nearly 8 million of them seek the help of a medical professional to get relief from headache pain. The highly-skilled physical therapists, Gregory Trakhtenberg, MPT & Dmitry Shestakovsky, DPT, at Midtown East Physical Therapy in New York City provide natural headache pain relief through the Fascial Counterstrain (FCS) technique. This gentle treatment method helps alleviate headache pain by correcting problems in your musculoskeletal and nervous systems so you get long-lasting relief. To learn more, call one of the offices for an appointment or schedule it using the online system. What is the Fascial Counterstrain technique for headache pain? The Fascial Counterstrain (FCS) technique is a system of soft tissue manipulation that can treat all musculoskeletal conditions, including providing relief from headache pain. FCS involves the gentle, manual movement of the fascia to decrease muscular tension, increase blood flow to the area, and maximize your body’s innate ability to naturally heal itself of pain and other conditions. Fascial Counterstrain treats the underlying cause of headache pain rather than masking symptoms with medications that only provide temporary relief without addressing the cause of your pain. The fascia is a densely woven covering surrounding every muscle, bone, organ, blood vessel, and nerve in your body. When the fascia is injured or inflamed, it can cause restrictions to your muscles, making them feel tight, and constricted. The fascia is extremely sensitive to pain, and any injury or irritation to the fascia often results in decreased range of motion in that area of your body. How does FCS relieve headache pain? The expert providers at Midtown East Physical Therapy use FCS to release tightened areas of muscles and fascia in your head, face, and neck, that are contributing to your headache pain. Your provider uses points of tenderness to feel which muscles and spots in the fascia are contracted and tense, and then gently manipulates them into relaxing, which offers relief. Since areas of tension in muscles and fascia increase pain, allowing these areas to relax helps the pain go away. The technique also helps normalize flow of bodily fluids in the area to decrease swelling. How many treatments will I need to get relief from headaches? The number of FCS treatments you need depends on the severity of your condition. Some men and women get relief from headache pain after just a couple Fascial Counterstrain treatment sessions. Your provider creates a customized treatment plan to work with your specific symptoms and underlying causes and provide maximum relief and health benefits of FCS, including increased blood flow to the stressed muscles and tissues. If you suffer from chronic headaches and are tired of taking pain medications to mask your symptoms, FCS therapy may be the solution for long-term pain management and relief from debilitating head and neck pain. 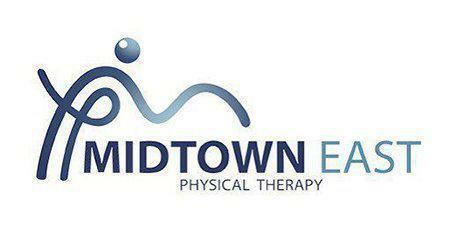 Call one of the offices in Midtown or Brooklyn for an appointment with Drs. Trakhtenberg and Shestakovsky or click to schedule it online.